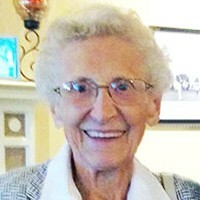 Schiller (Jones), Margaret Lucy Age 97, passed away January 18, 2019. Preceded in death by husband, Richard; daughter, Jennifer. Survived by her son, Craig (Pat); grandchildren, Evan, Alyssa (John), Nathaniel, Robert (Jessica) and Daniel (Martha); four great grandchildren. She was born in England Aug. 14, 1921 and grew up on a farm with her siblings. She joined the British Air Force (WAAF) during WWII where she rose to the rank of Sergeant. She met her husband, who was in the US Navy while stationed in the Middle East. She came to the US to marry and have a family. Memorial Service Friday, Feb. 1, 2019 at 11:00 am and visitation 10:00 am at Bethlehem Lutheran Church, 4100 Lyndale Avenue S. Minneapolis, MN 55409. Private interment at Fort Snelling National Cemetery at a later date. Memorials preferred.